When his teenaged daughter came home with an opioid prescription after having her wisdom teeth removed, Randall Kratz challenged her doctor. 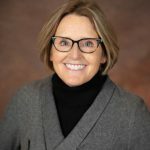 Kratz, senior account manager for FEI Behavioral Health in Milwaukee, Wisconsin, had worked as a substance abuse counselor and knew about the risks of addiction associated with opioids. The doctor agreed that Kratz’s daughter could try less potent medication first. But not everyone has Kratz’s knowledge of the dangers of certain pain medication. Helping consumers become more knowledgeable about pain management is one of the ways education can play a role in stemming the tide of opioid addiction, Kratz said, and employers can provide a lot of that education. Employers should “know their people and make their supervisors know their people,” Kratz said. When someone is addicted, employers typically see changes in more than one area—a recent injury combined with a deterioration in physical appearance, for example. The categories to look at include physical/medical, behavioral/psychosocial and job performance. Maybe the supervisor knows that an employee is having problems at home and notices that he or she has stopped eating lunch with co-workers. Employers should invest in training their supervisors to recognize these signs. “Your supervisors are the backbone of the program,” he said. Often they might know the employee has a problem but not know how to deal with it. Many addiction programs follow the 12-step model and use cognitive behavioral therapy, but an opioid-addicted person needs more because of the change that occurs in his or her brain chemistry, he said. Opioid-addicted people also need medication-assisted treatment with substances like methadone or suboxone that help the brain heal. These medications are expensive and should be covered by employer medical plans, Kratz said. Without the medication-assisted treatment, those who get out of a treatment program will continue to crave opioids, will often quickly relapse and can accidentally overdose, he explained. Families are an important ally in the fight against opioid abuse, Kratz noted. Employers can help by educating them about opioids through events or communication. They should know about the importance of getting rid of unused prescriptions and the dangers of giving leftover medication to other people. They should ask health care providers to offer other forms of pain management and know how to get help for their loved ones. 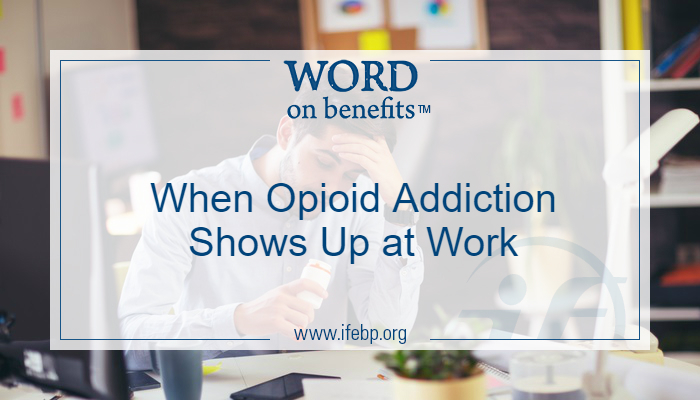 In addition to affecting productivity and quality of work, opioid use affects workplace morale and the work environment. Opioid users also may pose a safety risk to others. Other costs for employers include workers’ compensation, turnover and increased use of health care benefits. In addition to being a gateway for referrals to treatment programs, EAPs are a good resource for return-to-work programs, Kratz said. Employers should get to know their EAP account manager and include the manager in meetings to discuss opioid issues. EAPs also can provide educational programs to supervisors and employees. “I hope that you’ll use your EAP and look at your EAP as a partner and not just a telephone number,” he said.